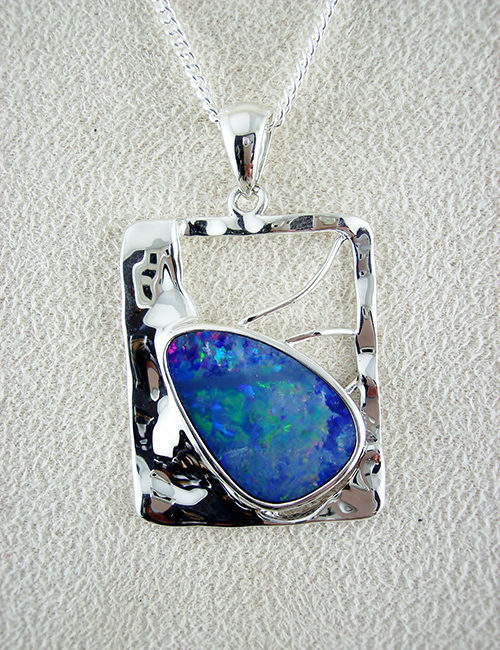 Doublet opal pendant set with anti tarnish sterling silver. 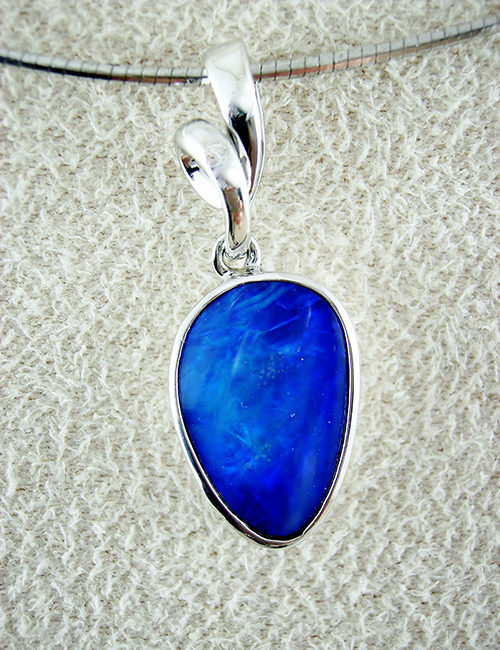 This freeform shaped pendant has sparkling green colours with a swirl of blue. 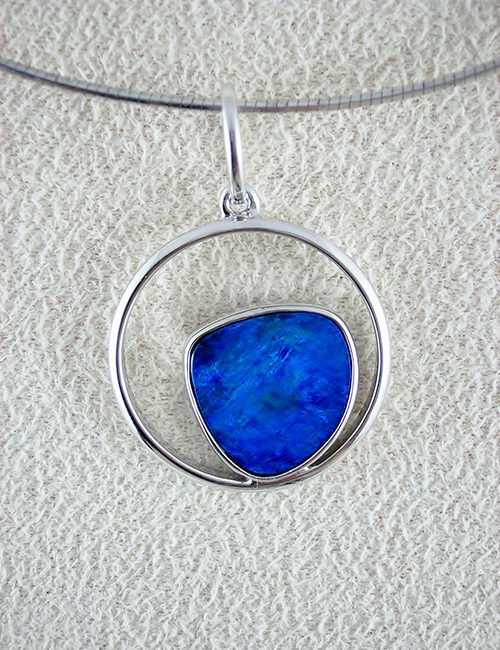 The pendant measures 30mm in entire length, with the opal measuring 23mm x 9mm.